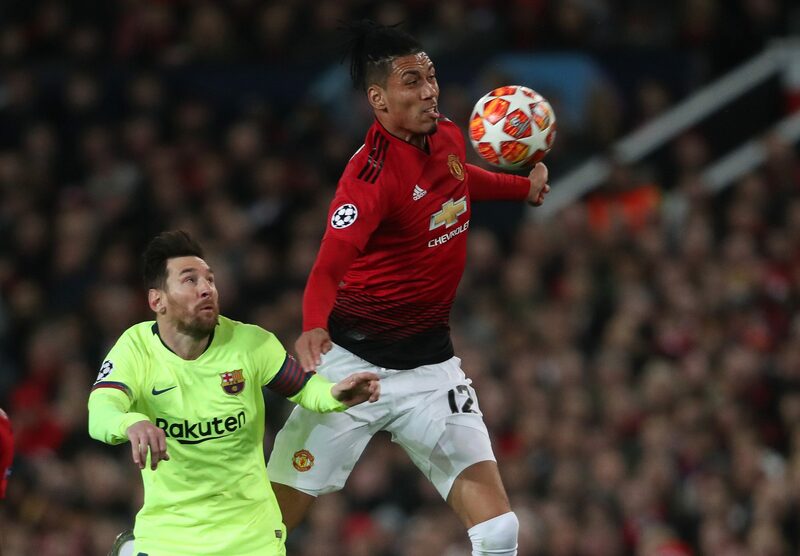 CHRIS SMALLING has lifted the lid on his post-match chat with Lionel Messi after their first-half clash at Old Trafford. The Manchester United defender left the Barca skipper with a bloodied nose after his flailing arm caught him in the face after he intercepted a pass during Wednesday’s Champions League 1-0 quarter-final first leg defeat. 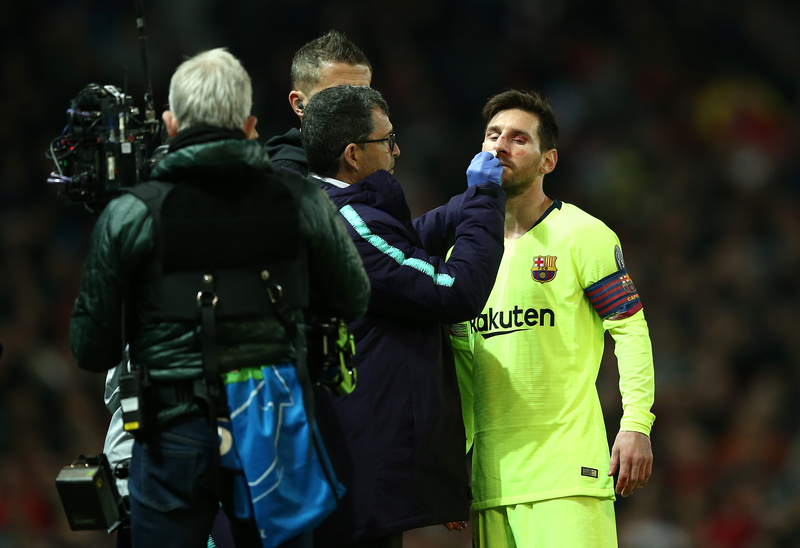 Despite Messi’s injury, scans showed that there was no significant damage to his face and nose. And the 29-year-old United defender insists there is no beef between them claiming the Argentine legend “knew” the coming together was an “accident”. Smalling told BBC 5 Live: “Yeah we spoke after. I didn’t realise at the time actually that I had caught him like that. “But after the game we had a brief chat, shook hands and he said he knew it was an accident. “(Luis) Suarez after as well, we had a good tussle and he just shook my hand after and said good luck and we just said good luck. “I don’t know if they did or if it was Messi who decided to be quiet, I think a little bit of both." Smalling’s ex-United boss Jose Mourinho was in agreement describing the incident a “nothing” collision. Mourinho told RT: “That situation with Smalling and Messi is nothing, it happens. “He’s just a tall guy with tall arms. I don’t think he has that intention. But they thought about him. And they have to think about him. Mourinho reckons his old side still have a chance of progressing to the semi-finals because the Catalan giants failed to kill off the tie at Old Trafford. He added: “United were positively aggressive. “By the defensive point of view, they (United) were good, keeping a lot of people behind the ball. “But again, there are two legs, you will have to go away in the second game.